Christopher, a fit and healthy baby who we enjoyed see develop into a bright, sporty, lively and fun-loving little boy. He was very sociable and relished being with people of all ages. 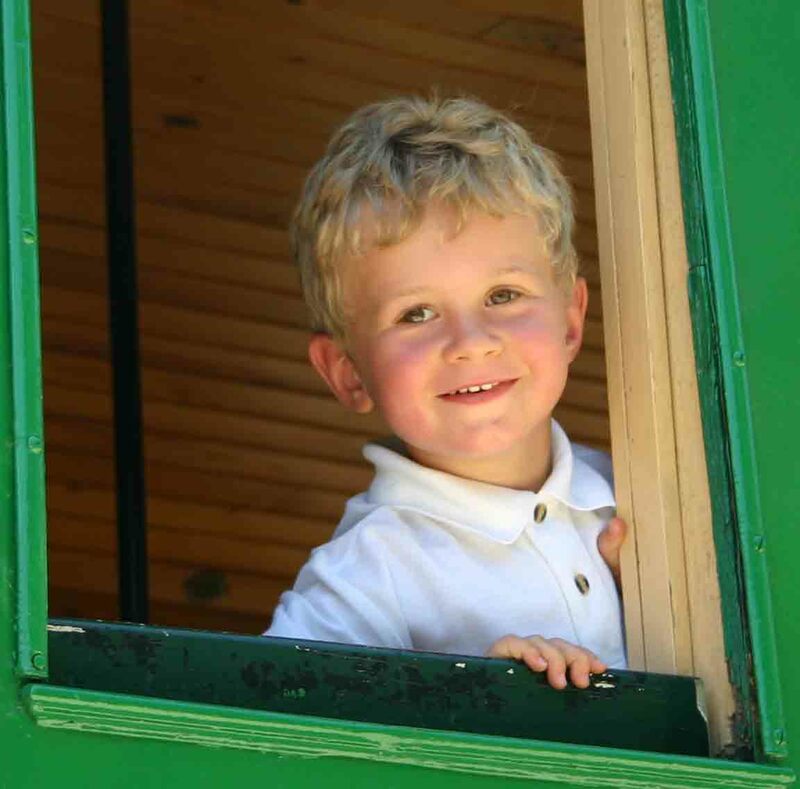 He enjoyed all of the normal things young children love to do – but at the start of September 2006 he began to be sick. As the days and weeks wore on this early morning sickness became daily until eventually after several visits to the GP, many persistent hours spent in A&E at the local hospital, finally following a CT scan on 23rd October the worst news imaginable was broken to us. 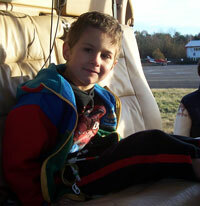 Christopher had a medulloblastoma brain tumour. That same evening we were rushed by ambulance to St George’s hospital and two days later Christopher underwent major brain surgery to help save his life. There were complications and further surgery was necessary to fit a shunt and a Hickman line and strong antibiotics were administered to treat a cerebral spinal fluid infection. Two and a half weeks into our stay some “holding” chemotherapy was started as scan results showed the cancer was growing back at a fast rate at the higher end of the scale. In total we spent six and a half tough weeks at St George’s with long, intensive and often frightening days in the ward at Christopher’s bedside. Once Christopher had recovered slightly from all the surgery we moved directly to the Royal Marsden in Sutton where an intensive protocol of five cycles of chemotherapy was embarked upon. Christmas was spent in hospital and we returned home on 27th December for a short while before the next cycle was commenced. The side effects of the drugs were immense – sickness, hair loss, diarrhoea, infections, fatigue, loss of appetite – and this on top of trying to recover mobility, muscle strength and loss of speech following surgery. It was akin to having a new-born baby all over again in terms of what Christopher was able to do for himself – something which emotionally for us was heart breaking. We all battled on with the treatment and the “existence” which our lives had become until May 2007 when a routine scan showed the tumours had responded. This was of course great news and meant psychological preparation for a 5-8 week stay at the Royal Marsden whilst Christopher received high dose chemotherapy and stem cell transplant. Yet again, our brave and uncomplaining little boy was assaulted by brutal treatments and after five weeks he was well enough to go home – a week before his 5th birthday. A scan at the end of July gave the best news we could have hoped for and we were on the road to rehabilitation. Christopher was becoming stronger, he was learning walk again and to eat again (he had been fed by a gastrostomy for over a year).He was in fact having to re-learn many of the things he had learnt as a toddler but he was determined to join in “everyday things” with his peers. School term began and it was on the one hand a huge pleasure and relief to see Christopher able to start to settle in and make new friends. On the other hand it was heartbreaking to see him struggle with a walking frame, to battle to hold a pen and to strain to hear properly in the classroom due to hearing loss from the drugs. It was tough to think that our son, who a year before had the same opportunity as any other child within the school now had a mountain to climb. At least the treatment was over – or so we thought. Towards the end of October Christopher started to be sick again – symptoms we had already seen. A scan in November brought with it the most devastating news: Christopher had relapsed and there was little that could be done. Several options were suggested by the team at the Royal Marsden and we decided to trial a biological drug alongside a chemotherapy drug at home. We couldn’t give up hope on saving Christopher and if this were a possible lifeline we had to take it. After three months the tumours were responding. By now Christopher was stronger and was managing to walk short distances unaided. We were so proud of his achievements and of his ever determined positive approach to his lot. Sadly the improvements were not to continue. In April Christopher began to experience seizures and we knew our time together as a family would not be for much longer. We managed a last wonderful trip together to Disneyland Paris in May but as the tumours inevitably took their evil course we lost our little boy on 5th June 2008, nine days before his 6th birthday. We have suffered for 21 months watching our son battle with a cruel disease and we continue to suffer in our grief and with our sense of loss. We would dearly love to create something good out of the bad we have endured and to that end we have set up a Trust called “Christopher’s Smile” to help fund research into medulloblastoma. The aim is to raise money to fund development of new biological drugs to treat medulloblastoma and other childhood cancers without devastating side effects. These drugs will provide an effective cure for all and save the lives of the children who currently do not survive this awful disease. Paediatric brain tumour research is currently low on funding priority lists despite survival success rates being unimproved for many years. The quality of life for those children who do survive both the disease and the treatment is greatly impaired and impacts on not only the children but has far reaching effects on the whole family. We believe there is much that can be done and if we are able to help one family avoid the tortures endured by us, every ounce of effort will be worthwhile.